Updated Wednesday August 1, 2018 by Denis Archambault. 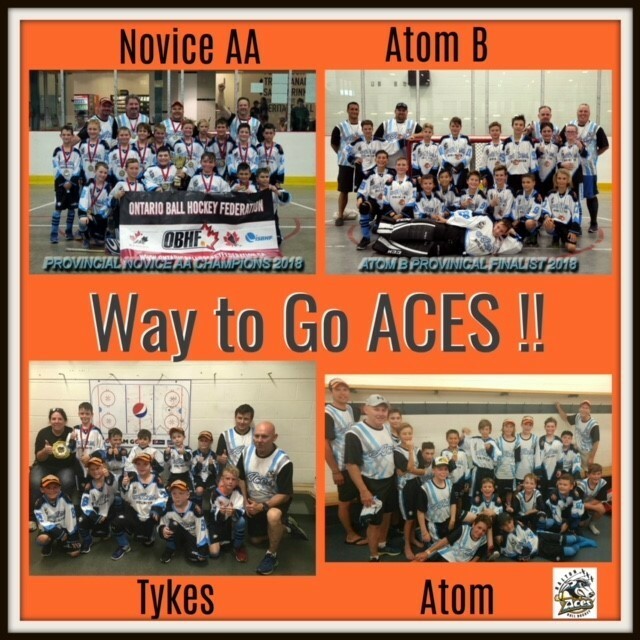 Congratulations to all our ACES teams who participated at this years OBHF Provinclal Championships. Our Novice captured AA Gold while our Atom team settled for a B Silver medal. We hope everypone enjoyed the experience and the chance to play in a Provincial level event.